Uptown Al Zahia will cater to many of your day-to-day needs with its wide range of stores, ranging from banks to dry cleaners and cafes, in addition to a Carrefour Supermarket. Your privacy is also safeguarded, as your home is accessible via key card access to the public areas. Visitors will also have access to Uptown via University City Road, which is currently undergoing a multi-million Dirham upgrade. At the heart of the retail area will be the F&B plaza, offering a diverse range of dining outlets to satisfy every taste, age group and time of day. The plaza will feature a distinguished interactive landscape that will add to the scenery while providing an entertaining experience for children. The Uptown masterplan is focused on three design princilples: intimacy, walkability and convenience. Woroud is the first residential apartments in Uptown Al Zahia offering a perfect balance of living options and meticulously designed amenities. 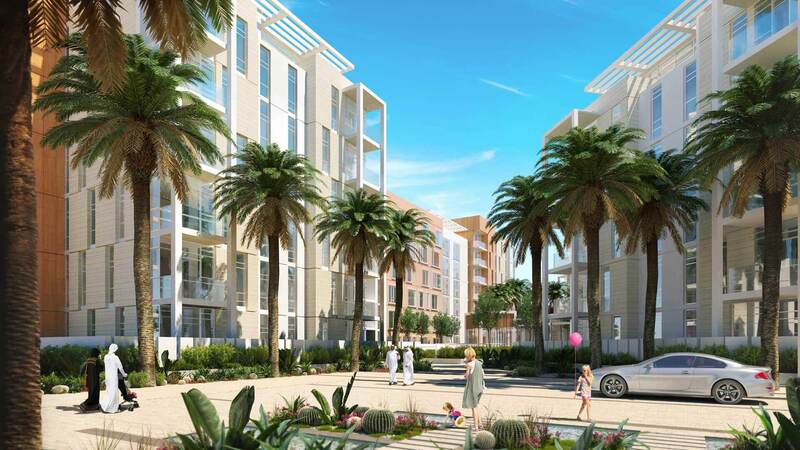 Zohour will comprise five residential buildings and is one of two apartments in Uptown Al Zahia.